Mystikka Jade is a natural born multi-sensory psychic who began working in the metaphysical industry at the age of 18 in 1993. Before joining the internet, she was advisor on 900 lines such as The Kenny Kingston and Gary Spivey Psychic Networks. At Southern California bookstores, she provided readings, taught classes and facilitated discussion groups on topics ranging from meditation and psychic development to The Celestine Prophecy. 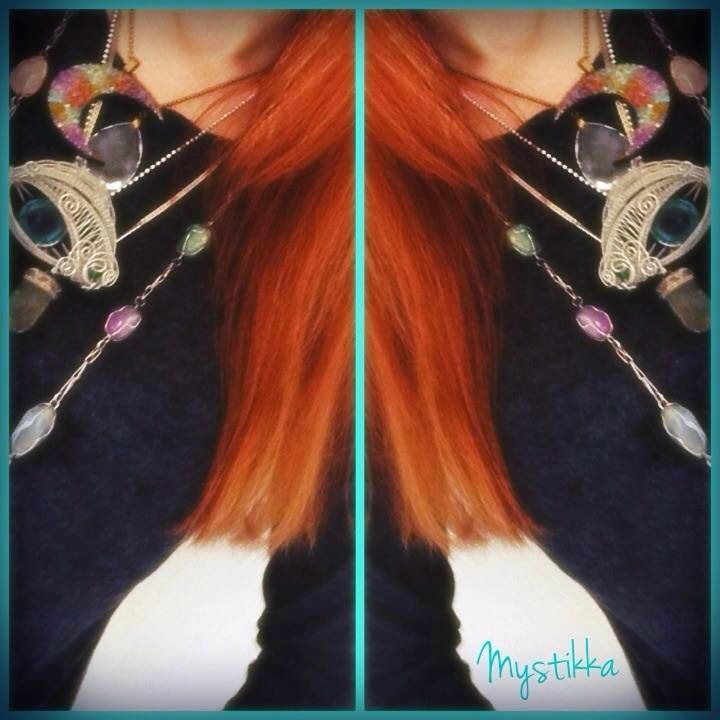 Mystikka is also skilled in the tarot, oracle cards, astrology, runes and crystals. She has provided blessings and clearings in paranormally active homes. Mystikka Jade is the creator of Theta Wave Oracle (with Leona Graves) and the author of two books, 'The Love Crisis Survival Guide,' a relationship self-help book, and 'Peace in Color: An Art Journey.' She is also certified as a Life Coach, Hypnotist and NLP Practitioner. Her readings have been gifted to CMA nominees and BET Experience on stage talent, courtesy of Hollywood Baskets. Mystikka was the creator and publisher of MetaCreative Magazine (2007-2010) and has contributed as a writer, artist and editor for other new age publications. She also has experience as both a guest on various radio shows and as a podcast host of her own show (MetaCreative Radio). She has interviewed revolutionaries, including but not limited to: Sylvia Browne, Jackie Beat, Stuart Wilde, Derek Humphry and Jack Herer.